I spoke to you briefly on the steam community board about my Cosmigo freezing on start up with only the layer box and colour palette visible. I’ve uninstalled the program, and reinstalled it three times, and I still have the same issue. The boxes appear in the same place each time. Nothing happens when I press F9, F10 or F11. I also only have used my laptop screen with this software, and the two boxes dont let me interact with them anyhow. Whats weird is that the program worked fine initially. The last time I used it, I closed down the main window and the boxes remained frozen in the same place they now appear. It seems that the stored window positions are off screen. Unfortunately uninstalling Steam versions does not delete settings stored in the registry. But before we delete this manually I’d like to get a copy from these settings to analyze. 0. Terminate Pro Motion if running. Hit on your windows start button and type “regedit”. 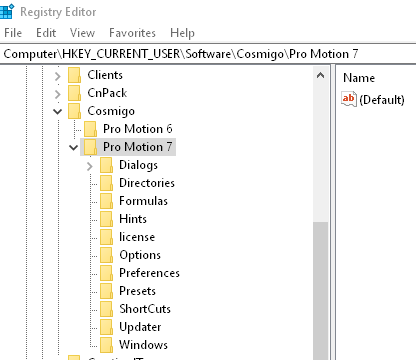 Start the command that is found which opens the registry editor. 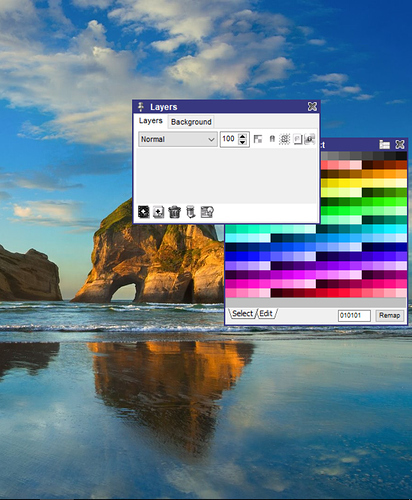 click with right mouse button on the “folder” “Pro Motion 7”. A menu appears. Use “Export” there and store this portion into a .reg file. Send this file to me (jan@cosmigo.com) or attach it here. Again click with the right mouse button and select “Delete”. Now start Pro Motion again. Thanks very much Jan, I have emailed it to you. For anyone else who has the problem - it starts up fine now.